I finally have Telltale fatigue. 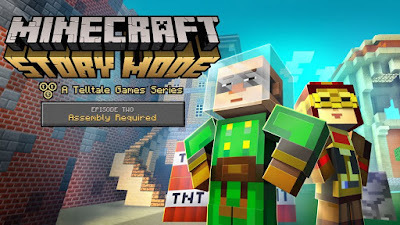 I knew it as soon as I tried to go back to Minecraft Story Mode and was immediately bored with it. I'm burned out on the Telltale formula. Yes, every one of their games has a different story to tell but the core of the gameplay behind it is identical. They're all obviously built on the same underlying structure. I must have just played too many of their games last year. I played all six episodes of Game of Throne and all five episodes of Tales from the Borderlands. Not to mention playing a bunch of The Wolf Among Us. For me it's time to step away from Telltale games for a bit. I loved Tales from the Borderlands and really liked Game of Thrones this year but they've apparently overdone it for me. I think the key will be to wait for the next franchise that I'm super excited for from Telltale. I'm sure there will be something that I get pumped up about, but Minecraft definitely isn't it.